All the reviews I have ever received since starting my own business appear below and on the party review tab. I have yet to disappoint a customer and I'm proud to display these. If you have any doubt about what Your Elite Celebration can do for you, these reviews will put those concerns to rest. Couldn’t have asked for a better night of music!! Mike was great! Friendly, on time & easy to work with! Book your next wedding with Rick! He takes care of everything for you, keeps your wedding party on schedule, ques you into the next topic or announcement, played the BEST music keeping everyone dancing for my sisters wedding all night long! He is very professional and takes time to plan a great evening for everyone, he will not let you down:) He is also very affordable and responsive to phone calls. Your Elite Celebration was the BEST choice for a DJ. They had the best prices around. The DJ was very easy to work with. This company really knew what they were doing. I heard about the company from a few of my friends using them. VERY HIGHLY RECOMMEND THIS COMPANY. Book this vendor! You don't have to worry about anything - Rick took care of so much. Helped us keep to our time schedule, was great at announcements and played fabulous music. Rick was great to work with and his attention to detail made our wedding planning so much easier. He was always responsive and even took time to jump on phone calls to discuss the fine details. For the value, you can't get better than Rick and his ability to get people on the dance floor the entire night. Rick was amazing! He's was extremely flexible with me. I was planning this wedding from a far and he kept in communication with me. He was a serious life savor because last minute I forgot to ask if he had two microphones for the ceremony. Ours are a little different and we have two priest praying. At first he said he couldn't get two and I said no big deal. I'll tell them to pray loudly. Day of Rick came up to me and said "I got two" and it was perfect! The people attending the ceremony said they could hear clearly. Then came the reception and the dinner music was perfect. I saw a lot of people whistling along with it. After dinner he played great music. He was even nice enough to look at popular Indian songs and have them on a list and ready in case someone wanted to hear Indian music. The up lighting looked perfect and I was a dancing machine after I was done getting pulled in different directions. I enjoyed myself so much and my guests enjoyed as well. Thank you so much Rick for being so flexible, professional, and being clutch with the two mics. Really appreciate it! I was looking for a DJ for our wedding and was recommended Rick. I read his reviews online and they were highly rated. Believe the reviews, Rick is outstanding! He is incredibly easy to work with and goes above and beyond to meet expectations. Rick had everything we wanted for our night. Very professional and responds quickly to all question's and concerns. As a bride, I was worried about so many things but Rick stepped in and acted as a second wedding planner and took care of all of my concerns and the night ran so smoothly! Rick had everyone on the dance floor all night long! I would highly recommend Rick to all of my friends and family! You wont be disappointed! Trust Rick, he is professional and takes care of every little detail. He kept us well organized and on track. The music and fun times were awesome. Everyone danced all evening and told us what an AMAZING DJ we had. Thanks again Rick! Rick was phenomenal from start to finish. He was easy to work with in the run-up to our wedding, and he kept our dance floor rocking all night by figuring out which songs would keep the crowd going. The transition from music for the whole family, to the music that kept our friends going until the early morning was so smooth and fun. We had an absolute blast- and would recommend Rick every time! Rick is the best DJ ever! I hired him because he also was the DJ at my friend's wedding, and both weddings were the best ever!! He is so good at feeling the crowd and keeping the mood and dancing going. His lights add an awesome effect. I HIGHLY recommend him!!!! We used Rick for our wedding on October 24th 2015. He was a great DJ! When we were searching for vendors, he was the only one we met with. After the first meeting with Rick, we knew he would be a great person to work with. He is very professional, organized and well prepared. He plays your crowd well. We were amazed at how quickly our dance floor filled up and how it never emptied. We also appreciated how Rick took the time to know us during our meetings with him. We never felt like we were just another gig to him. He took the time to make sure he pronounced everyone's name right, he was on cue with any specific intros or songs you have and he is great at changing things on the fly. We had a Blackhawk themed wedding and a game was going on during the reception. Some of our guests were watching the game on their phone and Rick decided he would join in on the fun. He took a goal light we had for another part of the festivities, put it up on his speaker stand and set it off with Chelsea Dagger whenever the Hawks scored. (We won 1-0 in OT so only could do it once). We definitely recommend using him for your wedding. You will not be disappointed. Weddings are stressful to plan especially when choosing a DJ, which is a huge part of your celebration to keep things flowing smoothly throughout the whole entire night. We met Rick while he is working a friend's wedding and we knew right there he was the man for the job. Rick is a VERY professional guy and he help make your celebration the best it can be. He was very flexible and could handle any request we threw at him. I requested all types of songs that varied from genres to songs sung in different languages. He went above and beyond to locate and get all the songs we wanted. Rick did an amazing job for a 300 person wedding that lasted to 2am. He kept the party going and the dance floor was never empty. I highly recommend Your Elite Celebration for your day if you want a stress-free party. Also the photoscape was a HUGE hit and the ladies did an amazing job that our guests Loved. Rick kept us all in the dance floor! The perfect DJ! We could not have been more pleased with our DJ/MC, Rick. We are a 50+ couple with a large family and grandchildren, which were all in attendance for our outdoor wedding reception/picnic. He instinctively knew what music to play, and announcements we needed. There was a segment for our grandchildren to dance to their music, which they loved! After a large softball game, Rick got everyone else on the dancefloor. Our party was a huge success, which could not have been accomplished without him - we highly recommend him! Where to begin. Just want to say Rick was awesome. Every song he played at out wedding was a hit. He had the dance floor rocking. Not only is he good at that, whenever you needed to get a hold of him he was there. He was thorough in every aspect of the setup. I recommend him highly. You can't go wrong. He made our evening superb. Rick was amazing! He played all the songs we wanted and added songs he knew we'd like based on our selection. He kept the dance floor packed all night, playing music that all ages could enjoy. Everyone had a great time and most of the compliments were on the music. Thanks so much Rick! Rick was amazing. First, I must say that he responds so quickly and professionally throughout all of the planning process. He listened to our needs and knocked it out of the park. We had a full dance floor nearly all evening. I would recommend Your Elite Celebration for any event needing a DJ! Rick was great to work with!!!! He was so responsive and really made our vision come to life! He had great ideas and knew what he was doing. So many of our guests commented on how great the music and flow was to the night. Couldn't be happier and will definitely use Rick in the future!!! Rick was super professional and helped me every step of the way. He was instrumental is creating the atmosphere at my wedding with his up lighting and gobo of my husband and my names. He even played along with the father daughter dance! He nailed all the names in the bridal party, which can be very hard to do. He was awesome! Rick was a great DJ! All of our favorite songs were played and the dance floor was packed most of the night. Additionally, he provided a great planning tool to make sure our night was perfectly organized. I strongly recomend going with him! Rick was awesome! His price was reasonable and he really helped us a lot the day of the wedding with helping the night run smoothly. He ran everything past us before he did anything and played great music. I have never seen so many people dance at a wedding. He did a great job and I highly recommend him! Your Elite Celebrations was amazing for our wedding!! Rick worked with us and helped us throughout the whole process. He worked really hard on making things perfect for our introduction song when the wedding party was being announced. He was very flexible when my family threw a curve ball into the itinerary the mascot came in. Rick was the perfect pick for our DJ! We had a great experience with using Rick Howell at Your Elite Celebration for our DJ services! Rick took all the stress out of finding a DJ for our wedding. From our first meeting with him, we knew that he was the right fit for our wedding. He was extremely professional and easy to work with. He made sure we knew exactly what to expect at our reception and put our minds at ease. We received tons of compliments on what a great job he did at the reception and how personable he was with our guests! The dance floor was packed all night long, and he played the perfect combination of music to get people of all ages up and dancing. We HIGHLY recommend Rick at Your Elite Celebration to anyone looking for a great DJ that you can trust completely to make sure your special event is absolutely perfect! My fiancé and I we not the usual couple who requests a wedding DJ. We are 60 and 67 years old. Rick was so helpful and willing to adjust the music choices to our needs and our guests who were older. It was wonderful and many of our guests commented on how much they liked the music and DJ. We had several specific requests and Rick was able to provide them all. We would highly recommend him for your event. Rick was the first and only DJ I interviewed, I knew after one conversation that he would be the right choice (it also helped he had come highly recommended from a friend). Rick was very easy to work with, he took the time to get to know us and made us feel our wedding was his top priority. Rick worked well with our wedding planner and took the lead in ensuring the reception went smoothly which it did. Rick was incredibly professional, knowledgable, and most importantly personable. After my experience, I would highly recommended Rick and wish him continued success. Rick was wonderful and easy to work with throughout our wedding process. We had a small wedding (100 people) and he was able to keep the dance floor alive all night. He was the perfect addition to our wedding day. I would recommend him to anyone! Your Elite Celebration was a highly professional, organized company that I hired for my wedding. I had contacted over 15 dj's, and Rick stood out against all other companies. Not only does he play music, he orchestrates the flow of the wedding. He had our timeline and did a perfect job. I came in from photos with my husband to find Rick lining up the entire bridal party for intros with paper, pronunciations, and I just smiled and got to the back of the line. My husband and I truly enjoyed our day, and I honestly think it's because Rick truly had us in good hands. He found my hard-to-find 1940's songs and pronounced every name correctly. I would highly recommend Your Elite Celebration to anyone, hands down. Dealing with Rick was the easiest part of all the planning for the wedding. He was very helpful in the music choices with plenty of advice that came from his experience. Wedding wise there was not a moment that my guests were not on the floor and having a great time. He is very good when it comes to announcements and even better with getting people up and dancing. He did a tremendous job and helped the wedding flow perfectly. I would highly recommend. Choosing a wedding DJ is something that you will do once in your life. It is obviously an important choice that should never be made on price or "gut feeling" alone but after careful consideration and research. Thankfully, Rick Howell and Your Elite Celebration came highly recommended and positively-reviewed and now I am happy to be added to his long list of stellar reviews. I work in the professional event and entertainment production industry and Rick's level of dedication, professionalism, flexibility, and knowledge is unparallelled. In many ways, a wedding DJ is responsible for the overall "feel" of your special day. By choosing Rick and Your Elite Celebration you can make an investment in the quality of your wedding reception; something that you and your guests will remember for years to come. I first chose Your Elite Celebration because of the important words that ran out of Rick's mouth, "I will run your evening! Be in contact with the hall and photographer to keep things going smoothly"! A bride's dream...one less thing that I have to worry about!!!! And Rick did exactly that! He kept the flow of the whole night and reminded me of things that I had forgotten about and went with the flow of things that needed to be changed because of the fact that we had no shows or 2 kids that did not want to walk by themselves! On top of keeping everything flowing, he kept the dance floor moving all night!!!! People were always on the dance floor having fun and enjoying which is all that I wanted!!!! I would recommend him for any function!!!! Thanks again, Rick!!!! Rick is the BEST DJ ever. He totally made our reception perfect by playing exactly what we asked him to. I would recommend him to anyone. Rick did an amazing job at our wedding. :) We would definitely recommend him. He is extremely thorough and he made sure he had all the details to our wedding ceremony and reception down to a T. He pronounced everyone's names correctly and the dance floor was always full! Rick was flexible with all of our requests and was more than helpful to give any ideas or suggestions that we needed. I give him an A+! Rick from elite celebrations was great! We hired him to DJ our wedding and he was wonderful. Very professional and gets back to you right away. Would highly recommend. We used Rick for our big day & couldn't be any happier! He was also very familiar with our venue which was a huge plus. We had our ceremony upstairs & our cocktail reception in another room. He set everything up in both rooms & made the transition run very smooth! He also made sure the whole night ran smooth for us...keeping an eye on time, lining up the bridal party..etc etc. He listens & gives great feedback. You can tell he's done this before & enjoys it. He is good at feeling out the crowd & gets everyone on the dance floor. Everyone kept raving about the music after the wedding. If you want a fun, professional, inventive & reliable DJ then hire Rick - you will not regret it!!! Very professional, organized, & high quality service. Rick did a great job at our wedding! The dance floor was packed the entire night! He was wonderful to work with and even put together a special song compilation we requested. We would absolutely recommend him! Rick was a fantastic DJ! All my guests told me he was the best DJ and I couldn't agree more! He really felt the crowd and played a wonderful selection of music. He had our friends, family and most importantly ME dancing all night! Rick is so professional and really knows his stuff. Thanks again Rick for making our wedding a night we will always remember. Wow! We can't even begin to explain what a great job Rick did DJing our wedding. He was so easy to work with in the weeks prior to the event. He was extremely well prepared, and announced all of the bridal party flawlessly. Everyone at the wedding commented what a great selection of music was played and truly enjoyed themselves! We would highly recommend Rick for any event where music or and emcee is required! Rick was really good helped explain which types of songs you pick for certain events during the wedding. Majority of my wedding was on the dance floor all night. Great job! Rick was very easy to work with, and he fulfilled all of our expectations. We used An Elite Celebration for our wedding. He provided a microphone and background music for our ceremony and then uplighting and music for our reception. I got many compliments on him! I pretty much let him choose the ceremony music, music during dinner, and all the music during the reception. The songs he played were perfect and kept everyone dancing. I had several people say the music during dinner was awesome, he played a few 80's tunes (but not the overplayed ones) and people enjoyed it. The uplighting added a very nice touch to the banquet hall. 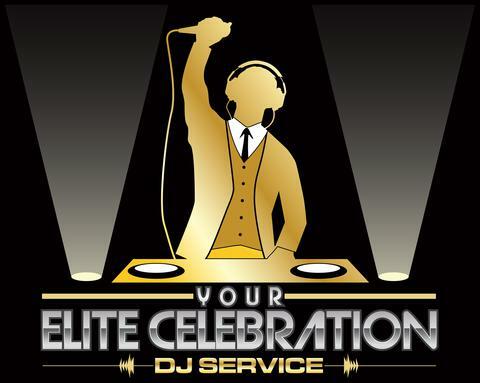 Overall, I wouldn't hesitate to use An Elite Celebration again, and I would highly recommend using him to anyone who needed professional DJ services. Thanks again, Rick, hope to see you again! I can not say enough about Rick and elite!!! He was so quick to respond to any email I sent. I am a terrible procrastinator and very busy and he never got even slightly frustrated with my laid back casual attitude about everything. More than anything else he made our wedding about us!!! I've noticed at many weddings that the dj is so center if attention that people focus on them instead if the bride and groom. He truly made sure we were having a great time and quietly made it the night of our lives. I will tell everyone and anyone to use him!! Thank you so much Rick for making the night amazing for us our kids and everyone that was there!!! Rick was an awesome DJ!!! We planned our wedding very last minute but he was super patient and very helpful from planning our music to guiding us through the itinerary as it was total chaos on our wedding day. He worked out my father-daughter dance to the exact way I wanted it, and it meant so much to me and my dad. I loved that Rick even got on the dance floor to show me the moves to a dance I didn't know. He was really great and took to the little kids very well as they constantly requested music for him to play. I would most definitely recommend your service - especially Rick - to anyone who needs a DJ. It really made our day to have good music and great service. THANK YOU RICK!!!! 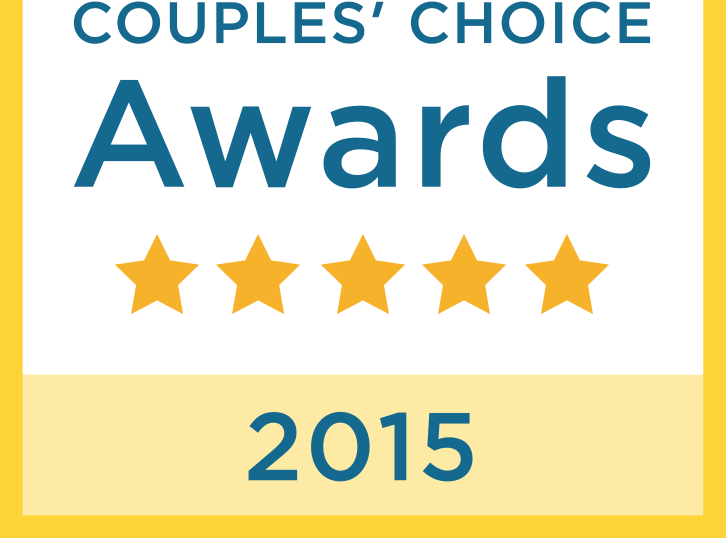 Rick was amazing to work with--very professional, knowledgeable, and accommodating! He kept the crowd on the dance floor the entire night. His personality makes it easy to decide to go with him as a DJ. I highly recommend working with Rick! Rick did a fabulous job at our wedding! He is extremely professional, kind, courteous and very patient! He played all the songs we requested! Our guests loved the music and are still talking about the great time they had. I have already given out Rick's information to a few of the guests. I would highly, highly recommend Rick if you want and demand the best in the business! Rick was an awesome DJ! He provided up-lighting as well as DJ services. He played all the songs we really wanted to hear and did a great job with the introductions. He is also very affordable compared to other DJs we were considering. I would highly recommend Rick to anyone! Rick did an awesome job for our wedding, you were very professional and did a great job. My guests complemented us on the music and said that the music was just wonderful and that they had an awesome time. I would recommend Rick to anyone who needs a DJ for their special event.You were awesome Rick and would definitely want you again to be my DJ. Rick did a fantastic job. He was on location way in advance, set up and ready to go by show time. He gave us instructions on how to follow his cues and the ceremony was beautiful. Rick was able to transition quickly inside for the reception and ran that like a true pro. Our party was small but Rick found ways to get people on the dance floor. If you are looking for a wedding DJ I would definitely recommend Your Elite Celebration. The music was wonderful, it was exactly how I wanted it to be done. The entire crowd was up and dancing and everyone at my wedding thought he did a wonderful job. I plan on using Your Elite Celebration for all my events that I plan on having in the future. Rick was the DJ for our Wedding on July 28, 2012. From the very moment we contacted him, he conducted himself in a very professional manner. Every time we contacted him, he was very quick to respond, and even sent us friendly reminders when deadlines were getting close. We were also able to checkout all his equipment and lights beforehand and even sampled some of the mixes and fades he is capable of doing. Rick did an amazing job sticking to our must play list and did not play any cheesy music. Rick also did our ceremony and cocktail hour music which was set up in three different locations. His flexibility and attention to detail in making our wedding such an amazing day was unprecedented. Again, Rick did awesome and we would recommend him to anyone. Rick DJ'd our wedding ceremony and reception and he was wonderful! We ran into a few electrical problems at first due to it being a backyard wedding, but Rick handled everything wonderfully. The music was great and the dance floor was packed the whole time!!! Once it got dark the lighting was really amazing...Thank you so much!!! I was at a friend's wedding this spring and Rick from Your Elite Celebration was the DJ. Everything ran really smoothly and without complication. He announced things clearly and was very personable and easy to approach, which is great because there is nothing worse than a cocky a-hole DJ. The lighting was really impressive and the dance floor was ALWAYS jam packed!! The next time I need a DJ for anything I'll give him a call.